Connecting directly with our own team of higher guidance will change your life! 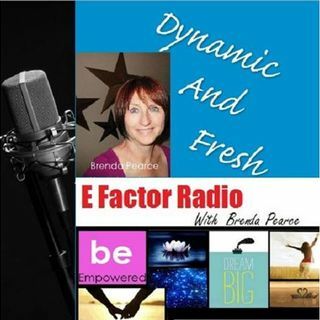 Experience the magic of Jean Slatter on this edition of eFactor Radio. Read about Jean and click on the link below for your F R E E Gifts from Jean. Jean Slatter is the founder of the Higher Guidance Life Coach certification program. She is an accomplished author and inspirational speaker who is helping thousands to receive clarity, direction and purpose through their direct access to Higher ... See More Guidance. In 2005 Jean published her landmark book Hiring the Heavens which introduced a unique perspective on connecting with the power of the heavens to fulfill your daily and life goals. Hiring the Heavens is inspiring people all over the world to create their world in tandem with the workforce of the celestial realm. Jean leads workshops across the country and is a sought after speaker. She has been a presenter at the Awakenings conferences along with Marianne Williamson, Joe Vitale, Dan Millman, Jean Houston and Don Miguel Ruiz and the keynote speaker at the Unity Conference in Florida. Jean’s materials have been featured in noted publications such as First for Women magazine, Science of Mind, New Age Journal, Conscious Living Magazine, and was featured on the cover of Truly Alive magazine. She had been on dozens of radio and blogtalk programs and was a featured presenter for the Conscious Media Network and GaiamTV.